Reject low living, sight walking, small planning, casual praying, and limited giving — God has chosen you for greatness. In Western civilization, the concept of a personal shepherd is relatively meaningless. When an epidemic of hoof-and-mouth disease was reported in the news a few years ago, we saw sheep ranches flashed on the news and sheep pens pictured on the front page of our morning newspapers, making the public aware of a little-noticed but vital industry. Sheep today graze in carefully fenced-in pastures and are guarded by specially bred dogs and identified by a number tattooed in their ears. Computers track when they are born and when they are ready for either shearing or slaughter. There is no personal shepherd. Unless the sheep are on a very small farm, even their owner can’t tell one sheep from another. But the Eastern shepherd was, and in many parts of the world still is, very different. He raised his sheep from the time they were lambs and maintained responsibility for them twenty-four hours a day, seven days a week, year in and year out, for their entire lifetime. There were no dogs or fences or tattoos or computers. The Eastern shepherd of Jesus’ day raised his sheep primarily in the Judean uplands. The countryside was rocky, hilly, and filled with deep crevices and ravines. Patches of grass were sparse. So the shepherd had to establish a personal, working relationship with each sheep, developing its love and trust in him in order to lead it to where the path was the smoothest, the pasture was the greenest, the water was the cleanest, and the nights were the safest. The shepherd always led the sheep. He knew their names, and when he called them, they recognized his voice, following him like a swarm of little chicks follows the mother hen. When he stopped, the sheep huddled closely around him, pressing against his legs. Their personal relationship with him was based on his voice, which they knew and trusted. In this parable, you and I are the sheep, the Good Shepherd is Jesus, and the voice of the Good Shepherd is the Word of God. Our Shepherd speaks to us through the written words of our Bible, and His words are personal. Several years ago, to celebrate my father’s eighty-second birthday, President George W. Bush invited Daddy and members of the immediate family, along with special friends, to the White House for dinner. It was my privilege to be included on that very special occasion. I was seated at a round table that included my father, Mrs. Bush, Steve Case, Cliff Barrows, my brother Ned, and others. In friendly conversation, my father related a story to the entire table. Everyone at the table knew he was speaking to them. But then he turned, looked straight at me, and said, “Anne…,” and I knew he was speaking personally to me. When I open my Bible, I know God is speaking to me because God speaks to everyone through His Word. But there are times when I open my Bible and a verse or a passage seems to leap up off the page with my name on it. Then I know God is speaking to me, personally. This happened recently when I was conducting A Passionate Pursuit. A Passionate Pursuit is my ministry’s breakaway retreat/seminar for women that is designed to take them deeper into God’s Word and equip them to lead others into it, while also helping them maintain the fire of revival in their hearts. The three days of teaching are intense; they tax me to the limits of my spiritual, physical, emotional, and mental abilities. This past year, in the days immediately preceding A Passionate Pursuit, I came down with my third case of pneumonia-type flu. I went to the host city while taking antibiotics along with fistfuls of vitamin C and echinacea. 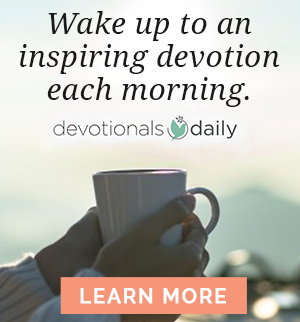 After almost three decades of teaching, I knew God would be faithful to see me through, but I still felt so sick and tired… The morning of the first day of the breakaway, I opened the Daily Light, a volume of selected Scriptures I have read every day of my life since I was ten years old. As I read those verses, I clearly and distinctly heard my Shepherd speaking to me with a heart filled with compassion, sensitive to the challenge that was facing me and with genuine understanding of my weakness. I was so encouraged and strengthened by His words that I was enabled to carry out my assignment triumphantly. None of the women who came to the breakaway ever suspected how I had struggled. When our Shepherd speaks, He speaks to us personally — by name. He knows us inside and out. He knows our thoughts before they’re on our minds, and our words before they’re even formed on our tongues, and our emotions before they’re felt in our hearts, and our actions before there is any movement. He speaks in the language of our own personal lives. When have you heard the voice of your Shepherd speaking to you? When have you heard Him calling you by name? 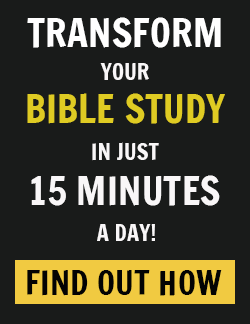 When you read your Bible, do you just focus on the facts and information, the commands and the promises, the warnings and the encouragement, the examples and the exhortations? When have your ears been opened to His voice within the pages, calling you by name…? Excerpted with permission from I Saw the Lord by Anne Graham Lotz, copyright Zondervan.